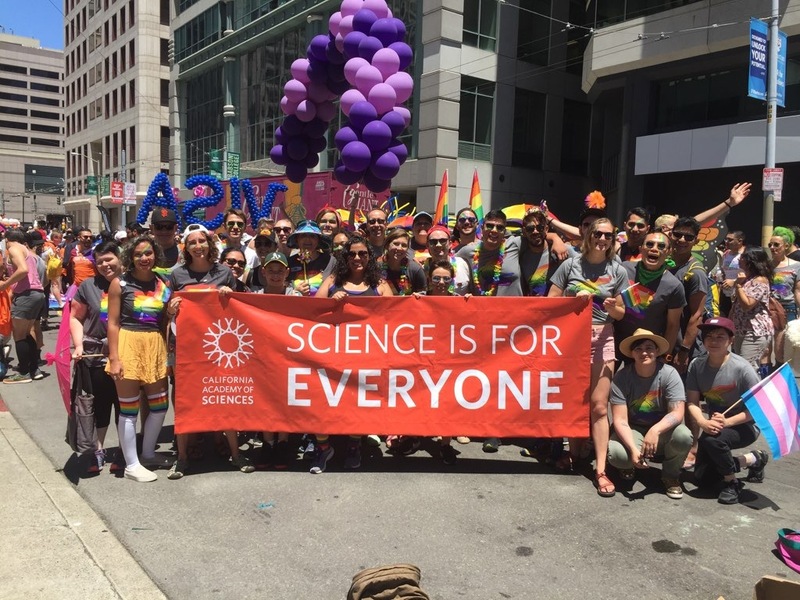 This weekend, I again had the privilege of marching in the San Francisco PRIDE Parade with the delegation from the California Academy of Sciences. 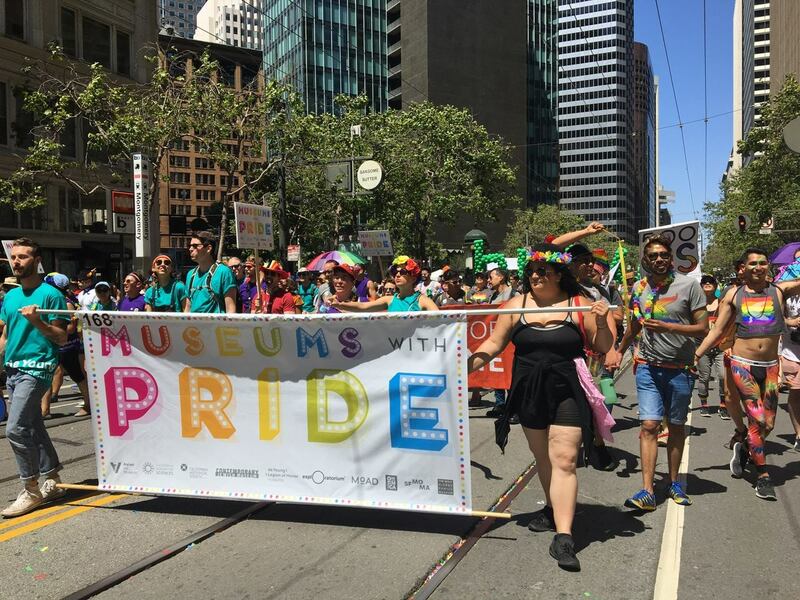 We were part of the larger #MuseumswithPRIDE group, including folks from many local arts and cultural institutions, including SF MOMA, the DeYoung Art Museum, the Legion of Honor, the Museum of the African Diaspora, and the Asian Art Museum. 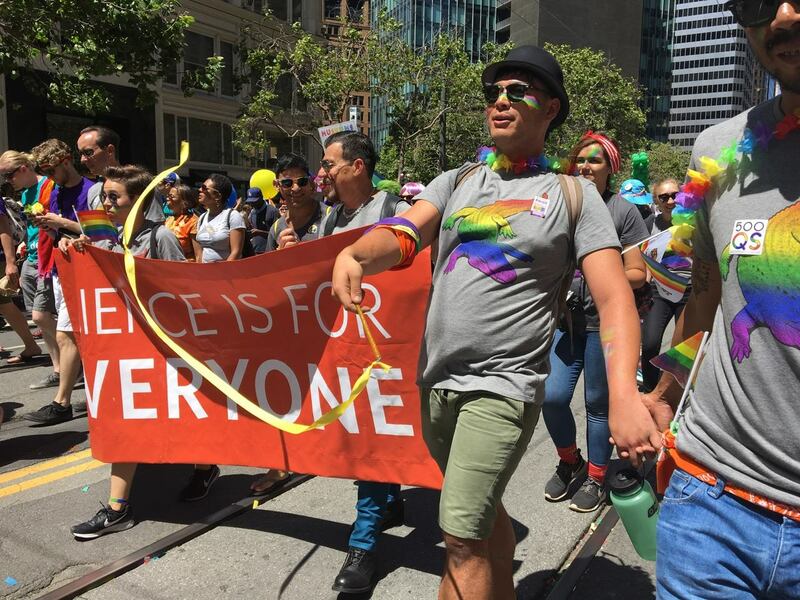 It was a perfect San Francisco summer day, sunny and breezy, for a celebration of love and diversity. The crowds were so happy and appreciative as we marched down Market Street toward civic center. It's the best feeling ever. It was a little bittersweet, as this is my last time marching with the Academy. But I'm so proud to be part of this institution, particularly on days like Sunday. Wherever you are, I hope you are celebrating love and human diversity in all its fabulous forms.